An efficient telecommunication network is the foundation upon which an information society is built. – Talal abu Gazhaleh. 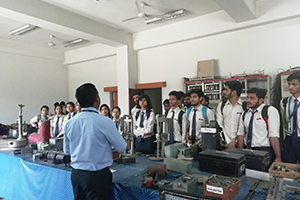 An industrial visit to “Bharat Sanchar Nigam Limited“, Jaipur was organized by computer science dept. 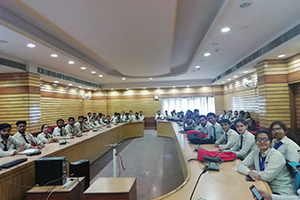 of Rajasthan institute of engineering and technology college on 5th April’19. 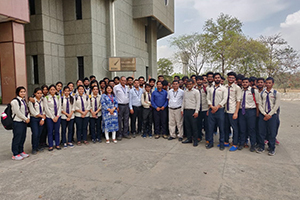 Fifty one students along with two faculties visited to BSNL to interact with the telecom industry to understand the current social scenarios, immediately prior, most onerous technologies and criteria for selection and to grab opportunities of good jobs. 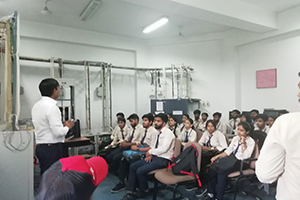 In the afternoon, we divided our students in batch of 2 for the visit and interaction with the professionals. The technical head of BSNL office Jaipur conducted a very interactive session. 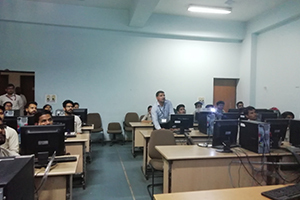 We were under the guidance of two prime officials who with the lab in charges spearheaded us to the computer networking labs where we learnt about types of network, topologies. Most importantly our tiny and stepping minds learnt about how the globe is connected and which type of networking it supports? This was the most cumbersome question to which we got the culmination. The entire team of BSNL was supported and acted as sermonizer. We also went to the vault so that we know more about our past. We used to consider our wisdom as pond but now we came to know that it is vast as an ocean and we need to know more. This was the most enjoyable , boost up session.